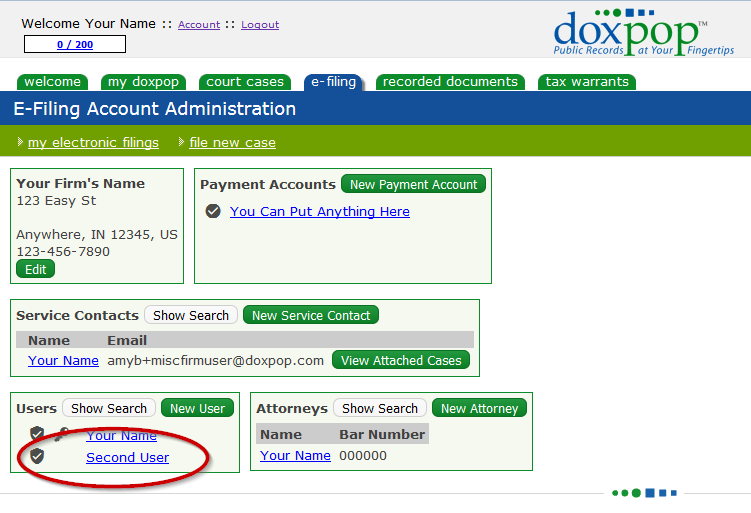 After logging into Doxpop and logging into e-filing with your credentials; find and click the "E-Filing Account Administration" link. 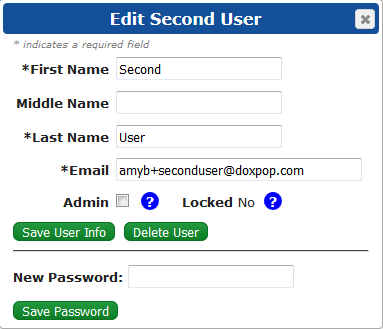 Now you can make your user a Co-Administrator by checking the Admin box and click the green [Save User Info] button. 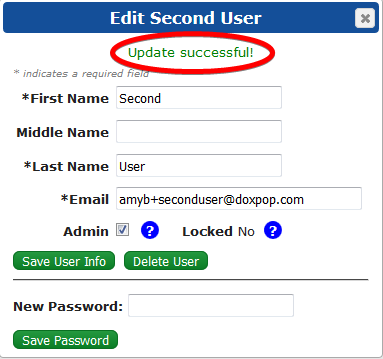 There will be a confirmation message in green letting you know the changes have been saved.